Over 25 years ago, Napoleon Hill, then a young special investigator for a nationally known business magazine, was sent to interview Andrew Carnegie. During that interview Carnegie slyly dropped a hint of certain master power he used; a magic law of the human mind - a little known psychological principle - which was amazing in its power. Carnegie suggested to Hill that upon that principle he could build the philosophy of all personal success - whether it be measured in terms of Money, Power, Position, Prestige, Influence, Accumulation of Wealth. That part of the interview never went into Hill’s magazine. But it did launch the young author upon over 20 years of research. And today we open to YOU the discovery and methods of using the revolutionary force which Carnegie quietly hinted at. 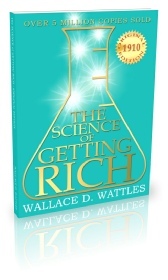 The thrilling methods of using it are now taught in eight textbooks known as the LAW OF SUCCESS. In the trail of the LAW OF SUCCESS lessons come accomplishments, not mere entertainment and time-killing diversion. There come larger businesses, bigger bank accounts, fatter pay envelopes; small enterprises given new life and power to grow; low-pay employees shown how to gain advancement by leaps and bounds. 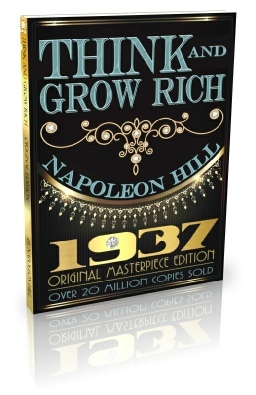 Think and Grow Rich is Napoleon Hill’s newest book, based upon his famous LAW OF SUCCESS philosophy. His work and writings have been praised by great leaders in finance, education, politics, and government.